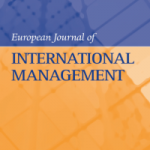 The 5th International Conference Innovation Management, Entrepreneurship and Sustainability (IMES 2017) took place on May 25-26, 2017 at the University of Economics, Prague. 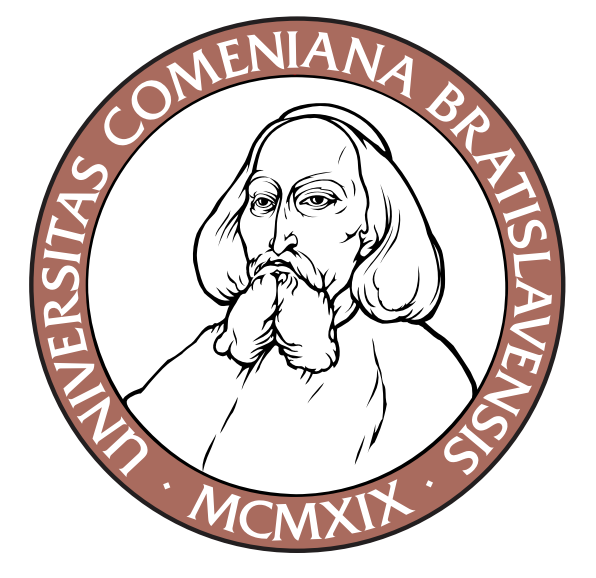 The conference was organised by the Department of Entrepreneurship of the University of Economics, Prague, Czech Republic in cooperation with Faculty of Management, Comenius University in Bratislava, Slovakia and Perm National Research Polytechnic University, Russia and other partners. Sound keynote speakers – William B. Gartner (Copenhagen Business School), Bengt Johannisson (Linnaeus University), Jerzy Cieślik (Kozminski University), Art Gogatz (World Innovation Team), Alistair J. Fee (Queen´s University Belfast), Lorraine M. Uhlaner (EDHEC Business School in Roubaix), Matt Johnson (Leuphana Universität Lüneburg), and Martin Lukeš (University of Economics in Prague), discussed the trends in the fields of innovation management, entrepreneurship and sustainability. The conference aimed to achieve academic excellence in a regional context and to establish a platform for mutual collaboration, exchange and dissemination of ideas among researchers and professionals. world, namely from Canada, Croatia, Czech Republic, France, Germany, Hungary, Chile, Lithuania, Nigeria, Paraguay, Poland, Russia, Serbia, Slovenia, Slovakia, Spain, Sweden, Switzerland, Turkey and USA. All these contributions have successfully passed the doubleblind peer-review process. All rights of the authors are reserved. The copyright of materials incl. quotations used remains with the authors. Unauthorised copying is prohibited. No responsibility is assumed by the publisher for the linguistic and technical accuracy of their contributions therein. The fifth IMES conference brought not only great presentations of scientific papers and discussions, but also a shift towards more sustainable management and responsibility of the Conference itself. This was particularly true in the areas of responsible purchasing and zero waste management. 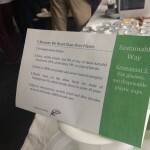 Sustainable measures were carried out by a group of students of the University of Economics in Prague under the leadership of the Organizing Committee of the Conference. Sustainability team of students with Jana Müllerova (in the middle) from the Organizing Committee. Catering was selected from local sources with an emphasis on BIO quality and limitation of food packaging. In the case of goods from abroad (for example, coffee), a Fair Trade certificate was required. 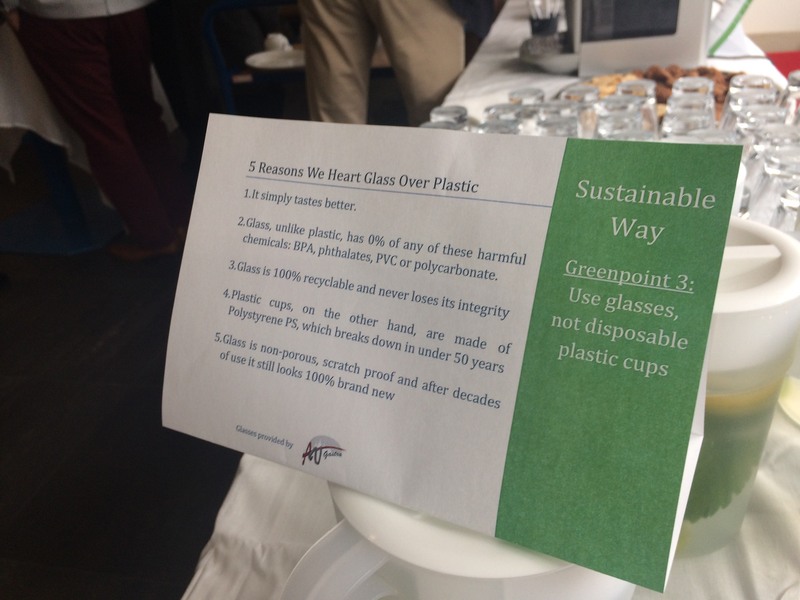 The conference established cooperation with the local refectory that supplied dishes to restrict the use of disposable cups and trays. Sustainable measures were communicated to participants in the form of information tables.